A “quick death” for Stanwell Moor is the best-case result for residents – that was the feeling after a meeting to discuss the blight of a potential third Heathrow runway through the village. The meeting, held last Monday (July 1), discussed the future of the village following reports Heathrow intends to build a runway over its homes. It was also attended by Heathrow’s director of strategic communications, Cheryl Monk. The airport has yet to confirm or deny the reports, saying it would refrain from commenting on the situation until after its presentation to the Airports Commission on July 17. It has another meeting scheduled with Mrs Croft on July 18. A spokesman for Heathrow said: “It is important that those who are most affected by the airport are given the opportunity to put their concerns to Heathrow first hand, and that we listen and respond to them. The main issue resulting from the meeting at Stanwell Moor Village Hall was the blight on the village the planned third runway would create. Sipson – the west London village that was until recently earmarked for a third runway – had been the battleground for almost a decade and activists there have described how the constant threat of demolition had ‘killed’ the community. Concerns are now building that Stanwell Moor could be next. Mrs Croft said: “I would just like a decision, the last thing we want is to be like Sipson. “People would want to know if it is going to happen. It’s a ‘wait and see’, and let’s hope that by the end of the month we know something more. “It is not going to the Commission until the end of the year and this is just Heathrow’s submission we are taking about. But at least we will have some idea about our future. “It is has come as a surprise to the people of Stanwell Moor, we always thought the battle against expansion was taking place in Sipson. 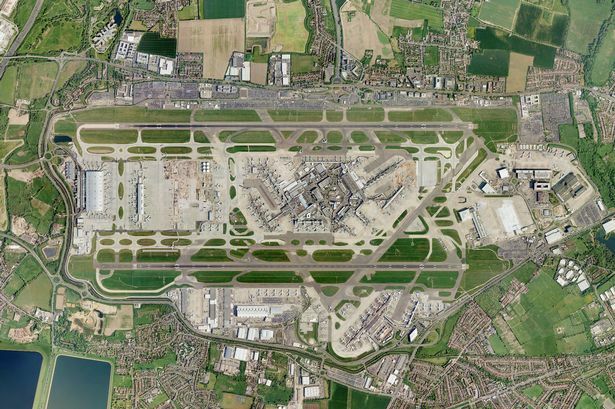 Kwasi Kwarteng, MP for Spelthorne, last year co-authored a report calling for Heathrow to be expanded both to the north, in Sipson and to the south, in Stanwell. Mrs Croft added: “I would rather have a quick death of Stanwell Moor, that would be better. We certainly don’t want to be another Sipson where they have gone on and on. “It has killed the area and now it looks like nothing is even going to happen there. “Whether Stanwell Moor fights against these plans or not would be down to the residents to decide. Posted: Friday, July 12th, 2013. Filed in General News, News about Airports, Recent News.